Discussion in 'Aesthetic Modifications' started by Artdragon, Oct 7, 2016. You could use automotive paint, hardener, and clear coat. Not saying you HAVE to but you've definitely get an awesome finish out of it. But seriously, if I were to paint one I'd certainly go that route. My cost a few $ more but why not get the best. skt239 and Artdragon like this. Sharpie, oil paint pens, many colors and tip sizes. I really like that idea. I'm better with pens/pencils/markers as opposed to paint. I would just need to choose a clear coat. Oil Sharpie dries to a high gloss, very durable product. I've tried automotive paints on my mech but it doesn't last long at all. I'm talking a week max. Primed, painted, and cleared the shaft held up but the edges get worn off. I do carry my mods in my pocket though. There is a paint that costs quite a bit called duracoat they use on guns which I haven't tried but looks like a cheap cerakote. Alcohol ink is another option for your artistic side. 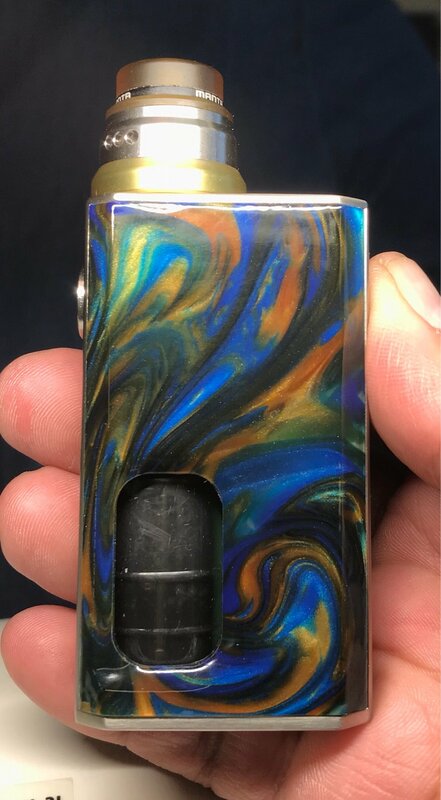 Google 'alcohol ink mod' for an idea. Thanks! I'm very artsy craftsy and it's actually my home based business. I've heard of alcohol inks being used a lot in the "industry" especially for high quality art projects. I have access to them on a wholesale level. Unfortunately, I have a min order amount. But I'll take a look at that ss an option. And several coats of whatever clear coat you use -- mods take a lot of abuse, even from our jewelry -- wedding rings are bad culprits. I painted my Innokins with nail polish. It does great! 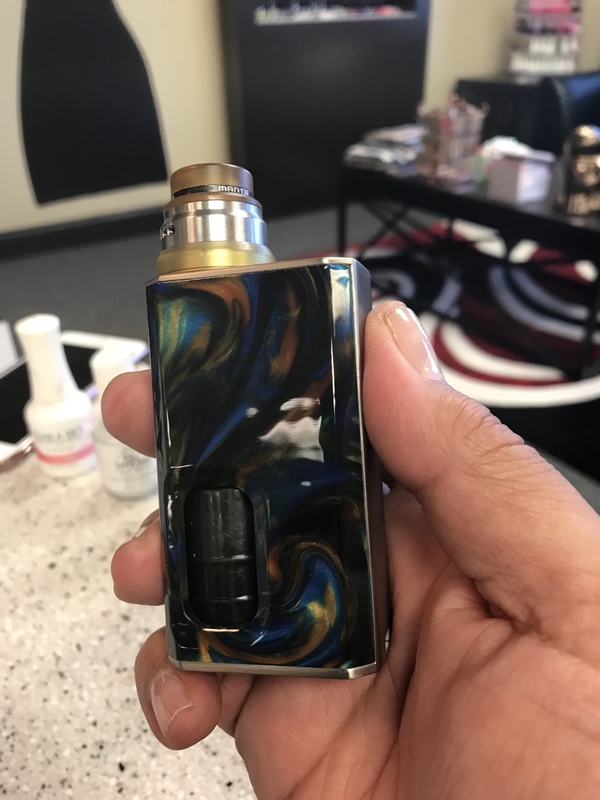 The hubby has a thing about wearing the coatings off his mods, so I paint his with nail polish, too. He ain't worn that off yet. JuicyLucy, Vape Fan and CrazyChef v2.0 like this. 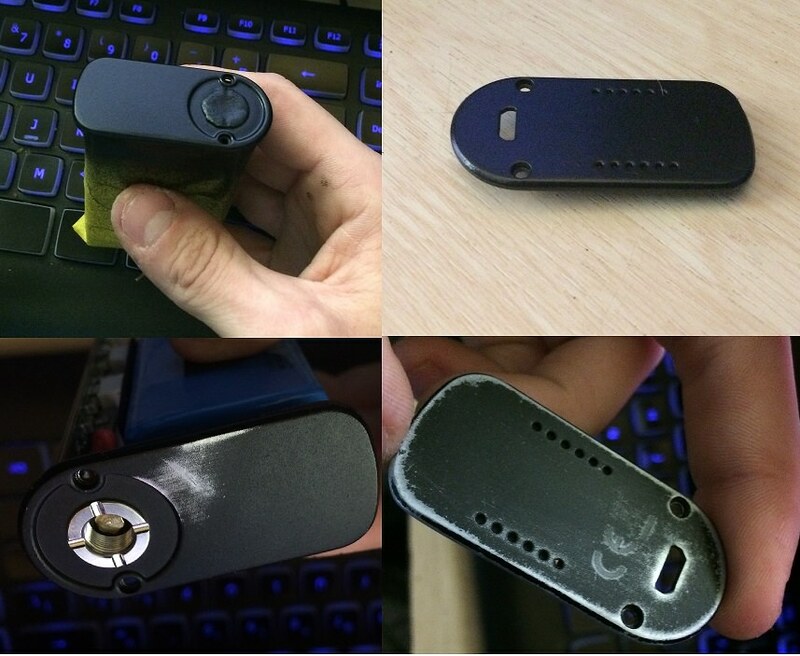 Cerakote if the mod has tight tolerances to operate, powder coat otherwise. 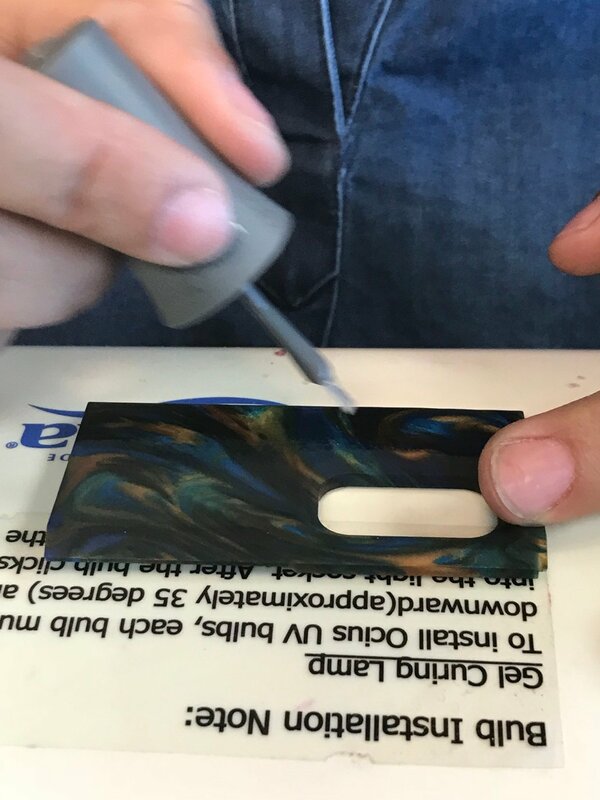 Powder coating is very durable and if prepped and blasted properly will last for a very, very long time (everything else will fail in the mod before the finish). If you are decent with an airbrush you could have it hydro dipped and then finish it with a ceramic clear coat. Most of the ones I have worked with are air cure and the design possibilities of hydro dipping are far and wide. Just plain ol fugly paint on aluminum. I know that, because the hubby wore the paint off all his aluminum mods. Callouses will do that. Success!! Shellac base & clear coat, 2 min each under light. Shines nice!!!! Will see how long it lasts only did one coat, i usually get 3 on my nails either way I can redo anytime. Jixil, stanglifemike and skt239 like this. That turned out good, congrats! Mod looks awesome! 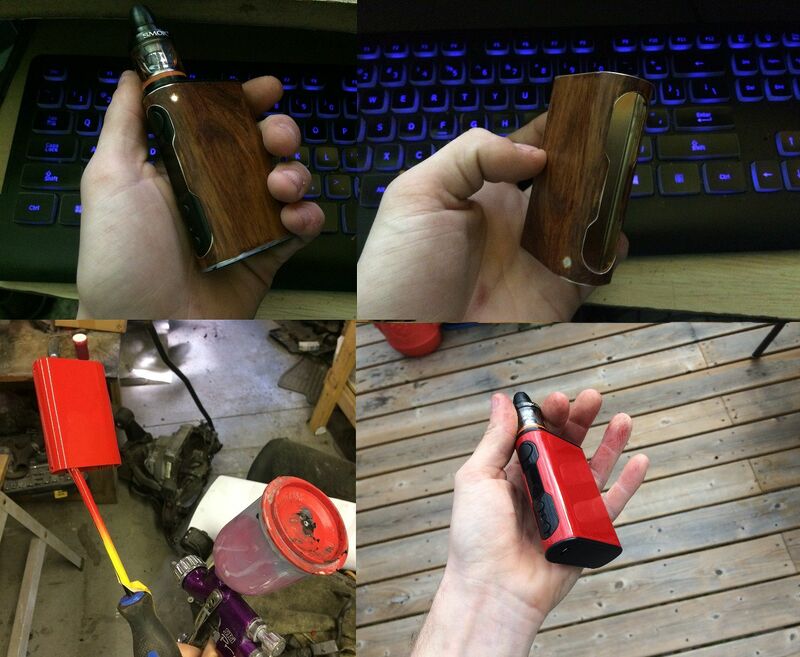 I've painted my mods, several others, and other random vaping hardware with 2k automotive paint. 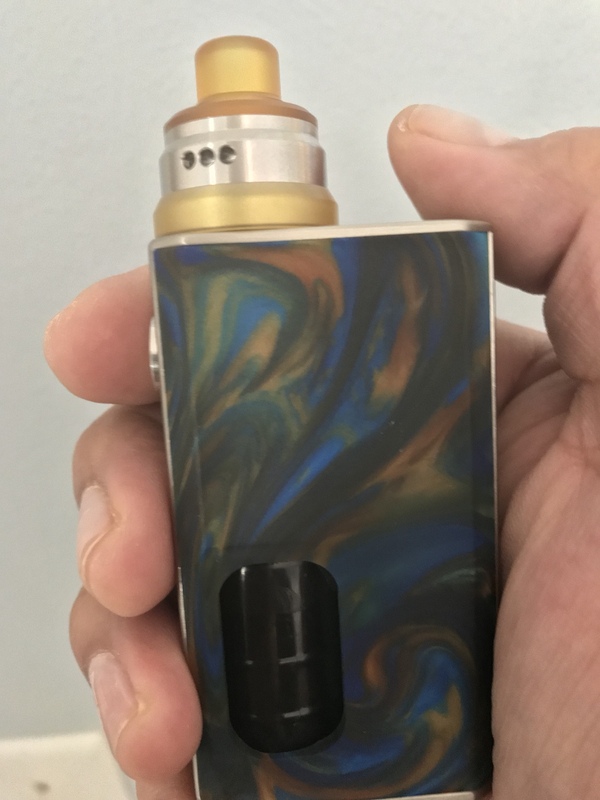 2 part epoxy stick to metal tube mods really well. Most primers and paints don't stick well to raw metal.